Hi girls, In today's post I'd like to introduce you one online fashion store that I discovered couple of days ago while browsing the web in search of perfect elegant evening dresses. The store is called Simple-dress.com.They are specialized in selling different kinds of dresses for any special occasion. 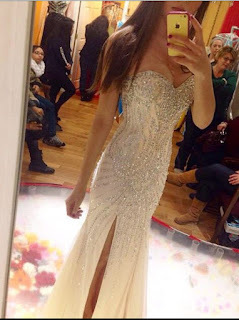 There's a huge selection of dresses in different styles, materials and colors. If you like silver color for example, there's really a wide range of evening dresses to choose from. Weather your personal style preference is edgy, girly, sophisticated or simple unique there is a dress waiting for you.